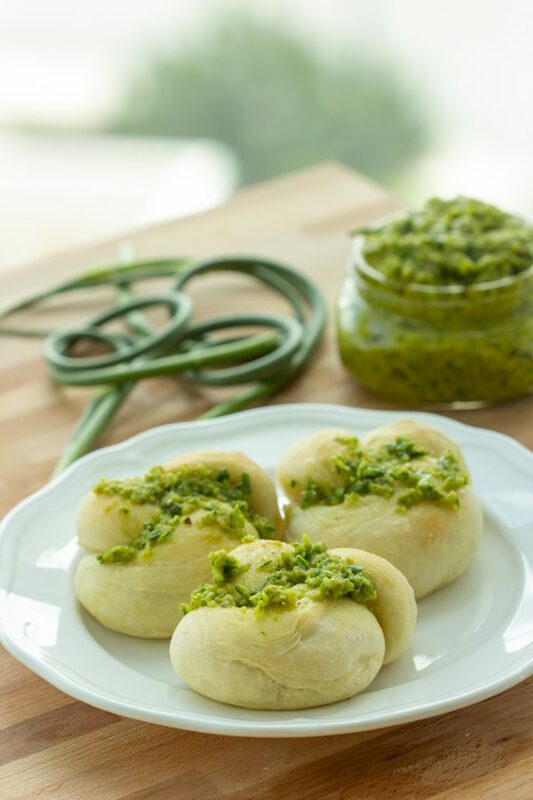 These warm, tender garlic knots are wonderful when generously smothered in garlic scape pesto. 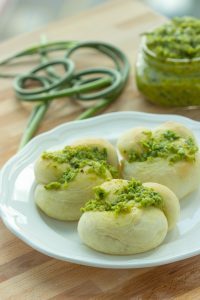 The garlic scape pesto’s mellow flavour over the fluffy garlic knots make these perfect for a weekend dinner or family gathering on the patio. 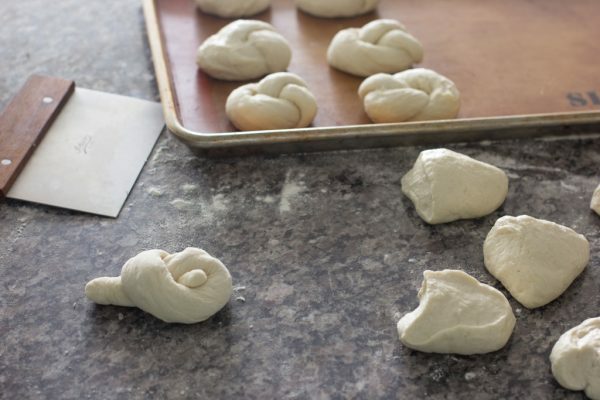 Start the knots by blooming the yeast in warm water for about 10 minutes. The yeast should get cloudy and maybe a bit bubbly. 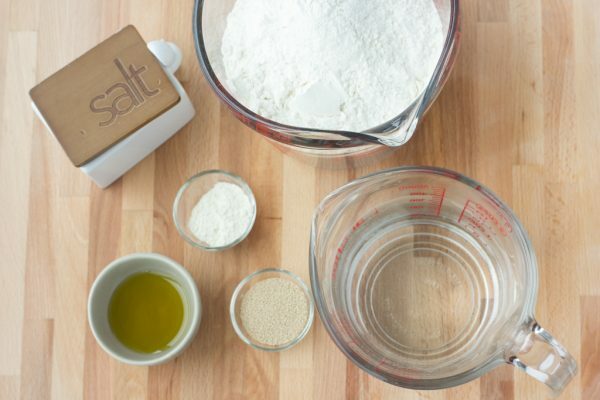 In a separate large mixing bowl, sift together 3 3/4 cup flour, salt, and garlic powder. Add the bloomed yeast and olive oil to the flour mixture and stir until incorporated. Turn the dough onto a work surface (clean out the dough out of the bowl as best you can) to knead for about 10 minutes until the dough has come together and is smooth and slightly tacky. Feel free to add enough flour until its no longer tacky. Transfer back into the bowl, coat with the remaining tbsp of olive oil and cover with a clean, damp kitchen towel or saran wrap and let rise until doubled in size (for about an hour). 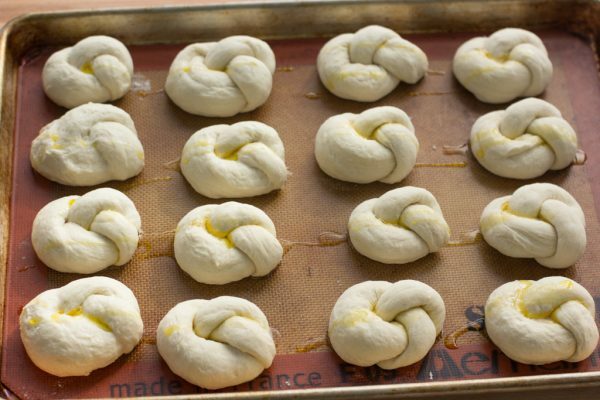 Punch dough down and cut the dough into 16-24 pieces, depending on how large you would like the knots to be. 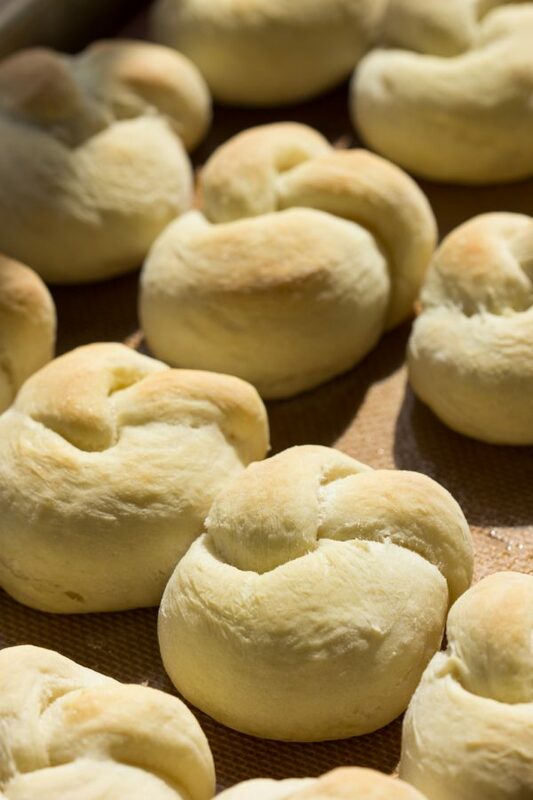 Dust each piece lightly with flour to roll out the dough and tie into a knot. Tuck the extra end underneath, brush with olive oil, and let rise on a lined baking sheet while you preheat the oven to 400ºF/204ªC and make the pesto. Wash the garlic scapes well and pat dry. 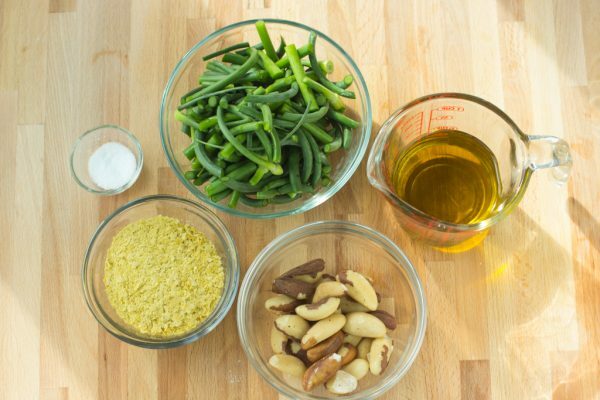 Cut into smaller pieces (about 1 inch should be fine), and add to a food processor along with nutritional yeast, olive oil, brazil nuts, and salt. Process, scraping down the sides as necessary, until the pesto comes together and the garlic scapes have been cut into tiny pieces. Transfer to a clean jar and side aside. 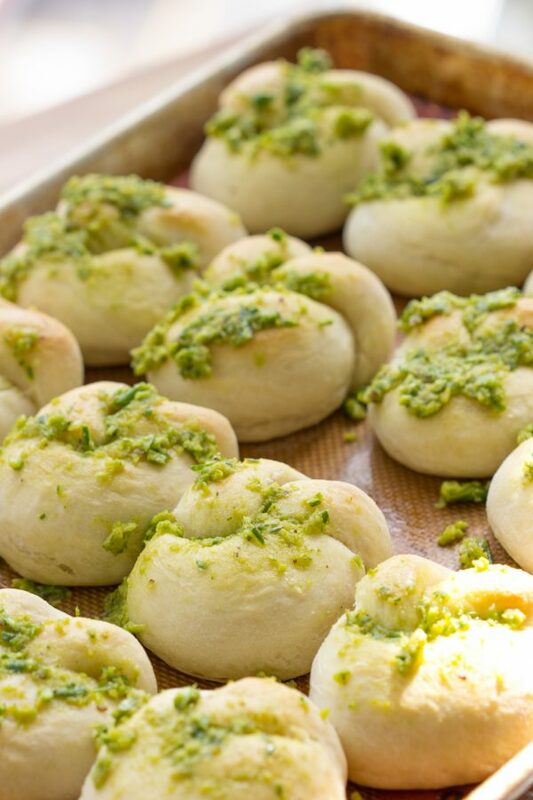 Once the pesto is made, bake the knots for about 30 minutes until golden. You may have to rotate the pan halfway through baking to ensure even baking. Remove from oven and let cool. 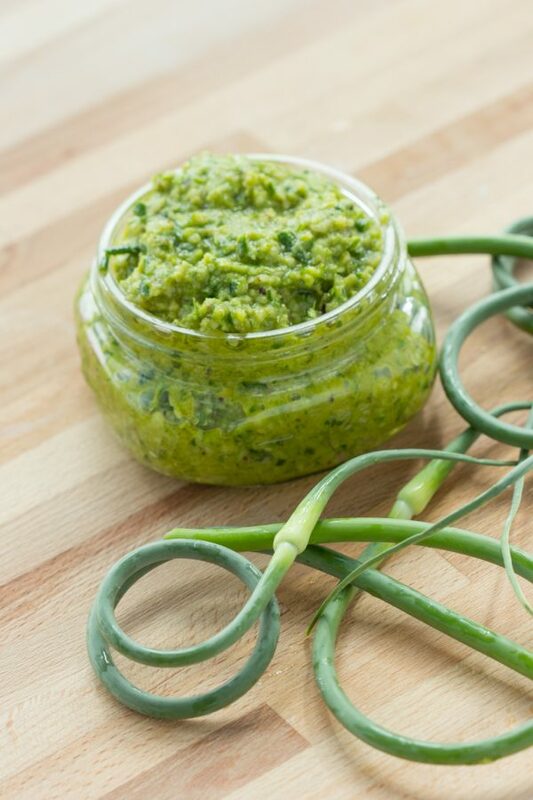 Coat generously with garlic scape pesto, and serve warm! 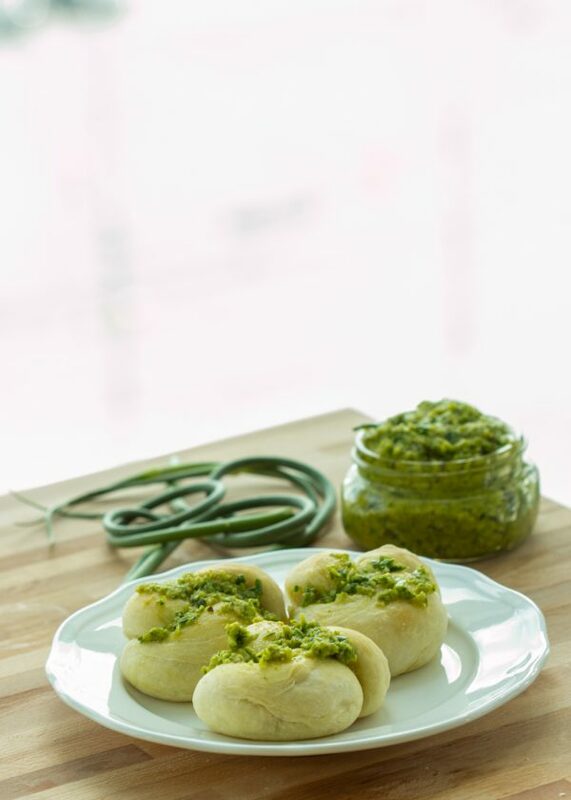 You will have ample pesto leftover that’s great for add to farfalle pasta, brushing over crostini, adding to sandwiches, pizza, your favourite proteins…it’s a wonderful lightly garlicky flavour that sings the start of summer. 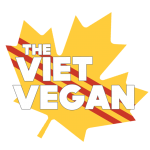 This recipe was developed by Lisa from The Viet Vegan. Lisa is the Toronto-based vegan food blogger behind Je suis alimentageuse. She blogs about food with stories about Vietnamese culture, nerdism, feminism, and her life sprinkled in on top.